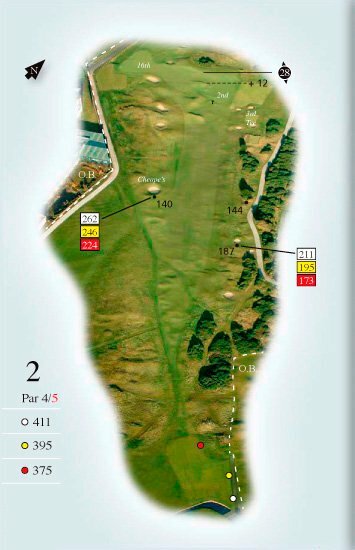 It is a blind tee shot from this tee to the 2nd fairway and the ideal line is to the right but not too far or the gorse will come into play. 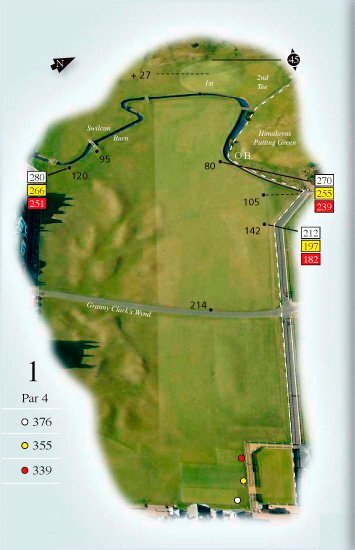 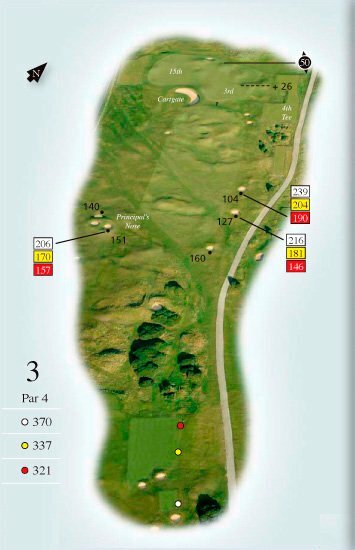 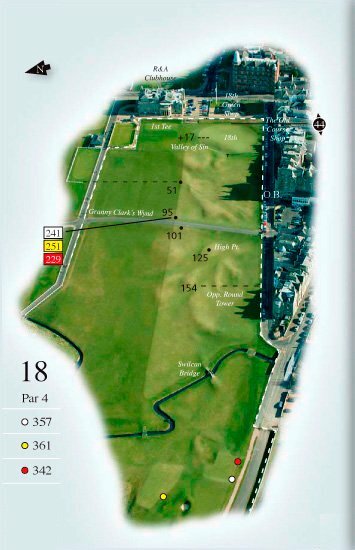 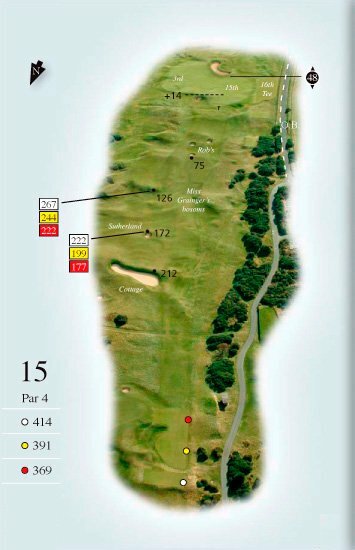 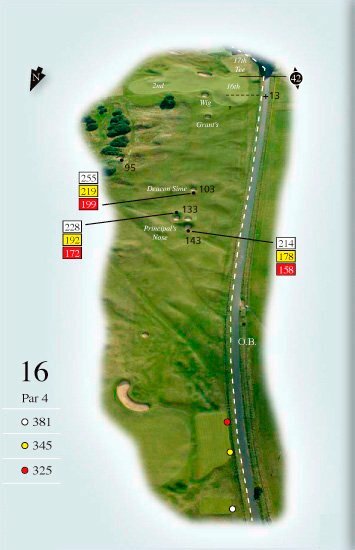 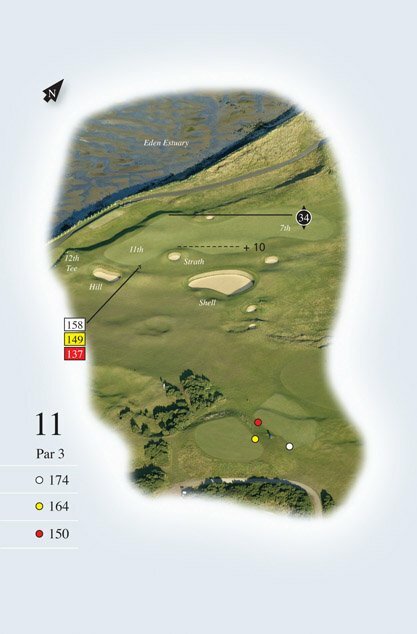 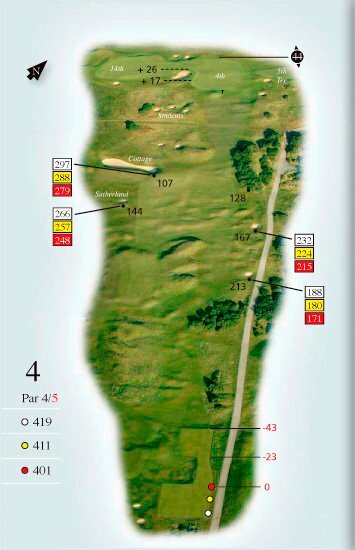 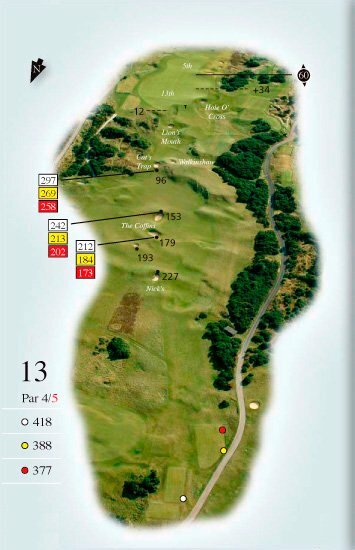 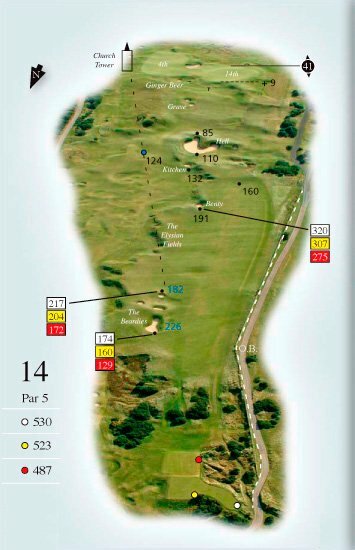 To the left side of the fairway is Cheape’s Bunker which is quite large and restricts your chances of reaching the green in two. 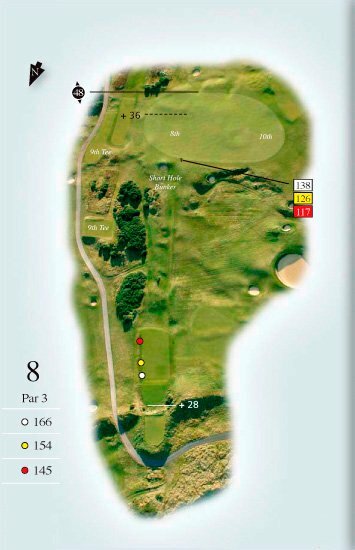 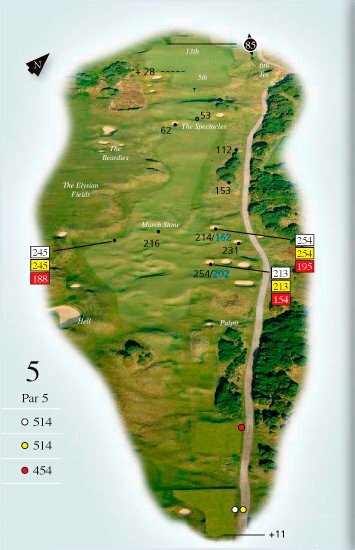 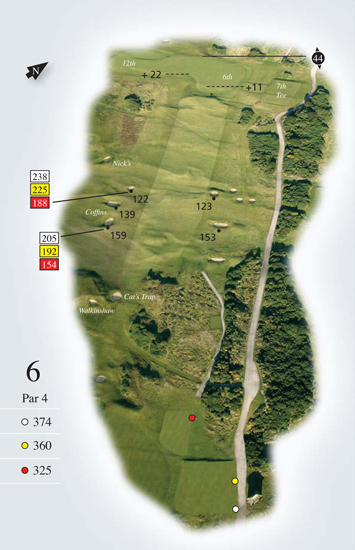 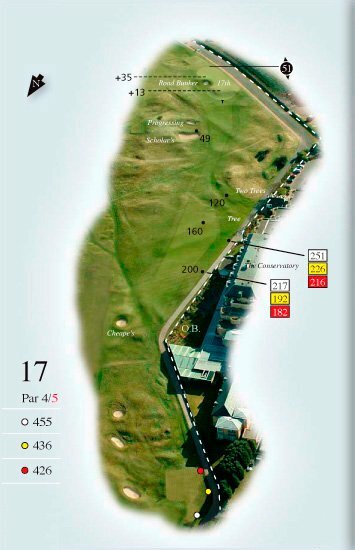 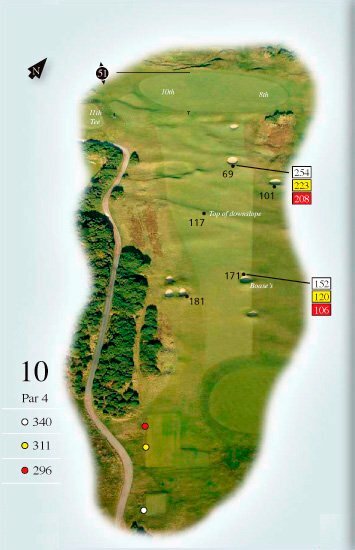 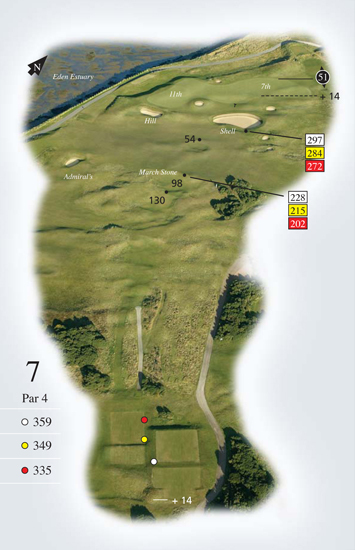 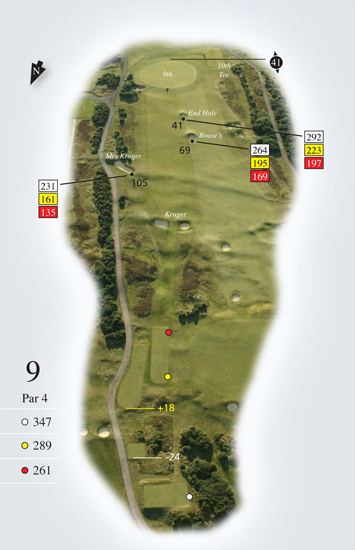 The front of the green slopes downwards causing the approach shot to veer right. 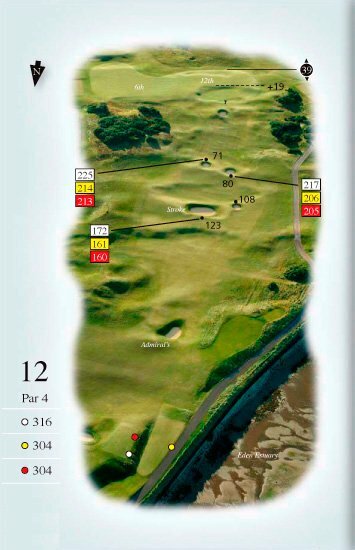 This is the first of the shared greens on the golf course.